Sean Penn joins the club of over-50 stars wading into mindless action territory. 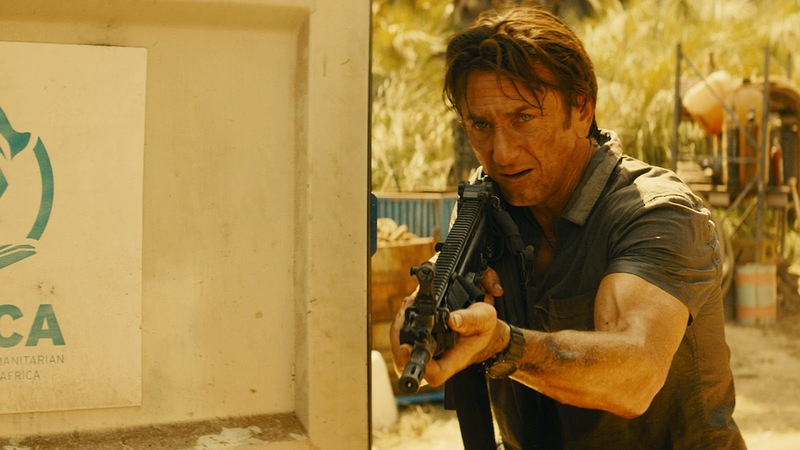 The Gunman at least offers a mildly interesting backstory involving the shadowy world of corporations funding mercenaries in Africa, but then slips into gratuitous and non-stop shoot-outs across European locations. It's 2006 and Jim Terrier (Penn) and his colleague Felix (Javier Bardem) are part of an international security organization purportedly providing protection services for aid workers in the Democratic Republic of the Congo. Jim is fully in love with Annie (Jasmine Trinca), a doctor helping the local population. Felix is jealous and also has his eyes on Annie. Meanwhile, she is clueless about the real work that Jim and Felix undertake: assassinations requested by multinational corporations for political purposes. After acting as trigger man in a high-profile hit to eliminate the Congo's popular mining minister, Jim has to flee the country. Eight years later, believing that he has left his sordid past behind, Jim returns to the Congo in a humanitarian capacity, only to find himself the target of a well-funded assassination plot. He flees back to Europe and tracks down his former employers and partners. He finds Felix now married to Annie, and uncovers a violent plot to eliminate all traces of the team that carried out the Congo assassination many years prior. Directed by Frenchman Pierre Morel and heavily funded by French and Spanish production companies, The Gunman looks slick but ultimately defaults to a soulless exercise in bland film making. The scenes in the Congo and the mercenary background offer flickers of hope for a more ambitious project, but most of the final two thirds of the movie are of the "man on the run who fights back" variety, a story told countless times before that disintegrates into a blur of set-pieces featuring endless shoot-outs and physical confrontations. This is the type of film where all the men are muscular ex-special forces, all the villains hiss with evil, the hero has all sorts of military tricks up his sleeve, and is humanized with headaches due to lifetime of concussions. It all plays out at 100 miles per hour and Morel undoubtedly knows his way around action scenes, but beyond the flying bullets and spurting blood, there is precious little else to hang onto. Sean Penn looks terrific for a 54 year old man, and frequently finds reasons to take his shirt off and display his lean physique. His mere presence adds intensity to the film, and rescues it from the lowest reaches of the action bucket. Bardem is there to further bolster the Spanish box-office. 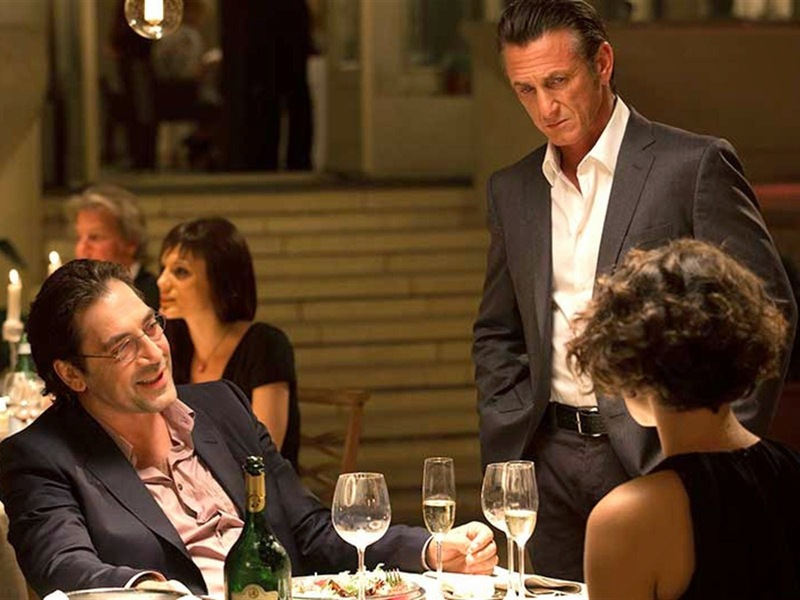 Jasmine Trinca is mostly wasted, while Idris Elba shows up really late in the proceedings as an Interpol agent. Ray Winstone adds an admirable dash of character as a fixer in the mercenary underworld. The Gunman is trigger happy, and that is all.